Plastics and metals have long replaced wood as the primary material for making children’s toys on a commercial level. The reason is obvious. The newer materials can be molded, extruded, poured, and shaped using machines rather than the touch of a human craftsman. Hundreds and thousands of toy units can be at one time, something that was never possible with wooden toy manufacturers. Fortunately, there are still a number of quality toy companies that see the timeless value and beauty in wooden toys. There is a certain natural character in wood that can’t be duplicated with synthetic materials. The flow of the grain, the varying hues of color, even the delicious odors of various woods translate into wood toys that spark the imagination and remind us of the days of handcrafted toys. This Australian boutique is a timber toy seller that sells wooden toys. This chain is based in Brisbane. It was started by the parents of two toddlers who had grown up with wood toys that their children were playing with. 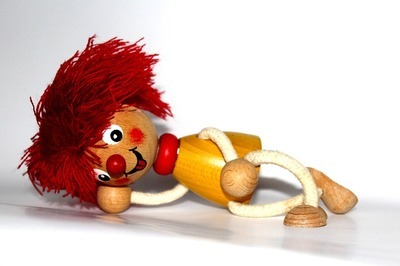 Dissatisfied with the large assortments of plastic toys available, they decided to challenge the toy market with their own line of special wood toys. The durability and simplicity of wood toys give them a unique quality of survival that and last for multiple generations. Since 2009, Timber Toys is has been importing and distributing wood toys throughout South Africa. After spending some time in the UK, the parents of three children returned to their native South Africa convinced that there was a market for classic wooden toys like those they’d seen in London. Timber Toys imports their wooden toys from countries all around the globe. They’ve also branched out to carry designer soft toys and hand-painted wood toys from individual artists. This German-based website strives to provide a shopping experience for people who have special interest and love for hand-crafted wooden toys. They specialize in selling European wood toys that are eco-friendly, hand-crafted, simple, fun, natural and beautiful. Oompa carefully selects their toy manufacturers for quality of craftsmanship and character. Their goal is of offer a line of toys that will withstand years and generations of loving childhood play. The online store Magic Cabin offers children's wooden toys that are both safe and fun. They have wooden toys for nature exploration, for outdoor and indoor play, for whatever strikes your child's imagination and interests. This online store features a great collection of classic wooden toys for kids including blocks, beads, wooden cars, pull toys, dollhouses, and dollhouse furniture. Besides these timeless toys that have entertained past generations, they also offer newer wooden toys for kids that inspire creative play like construction sets and mind-challenging puzzles.